PMP® stands for Project Management Professional is the most basic industry-recognized certification for project managers. Internationally recognized and demanded, the PMP® Certification validates that you have attended the PMP® Training and have experience, education and capability to successfully lead and direct projects. Project management is a specialized and frequently complex task, and needs more training than the average programmer. 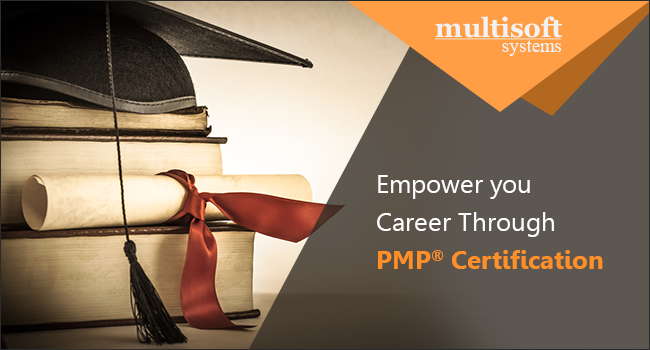 PMP® Certification engages you to better evaluate the capacities and aptitudes of others. With the discipline to expert the material for the certification, you are in a better position than evaluate the capabilities of others. You have the opportunity to survey your own qualities and weaknesses in the process of earning the attestation, and have a broader understanding of the capabilities and toolsets that can be effective. The PMP® Certification recognizes demonstrated competence in leading and planning project teams. If you are an expert project manager looking to solidify your skills, rise to supervisors and maximize your earning potential, the PMP® affirmation is the right choice for you. Modern project management tools such as work breakdown structure, resource allocation, Gant charts, and mathematical project scheduling models, project cost estimating, cost management and engineering economics.